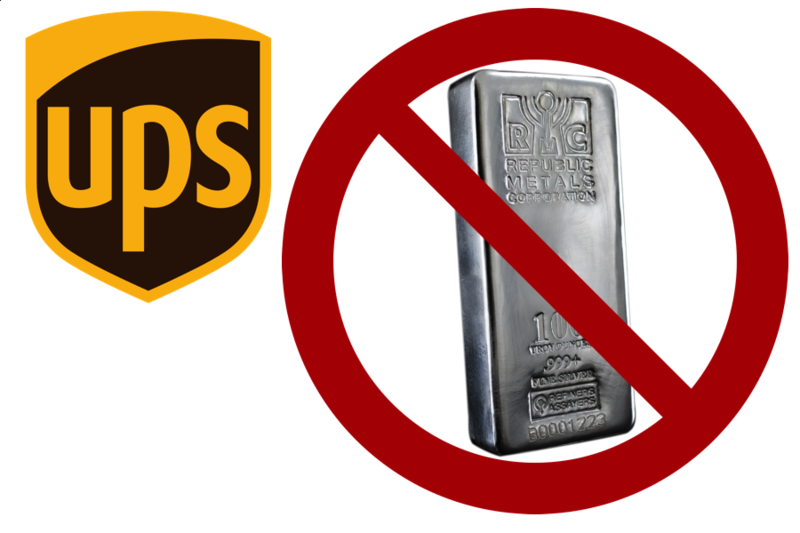 Can you ship silver bullion with UPS or other private courier services? 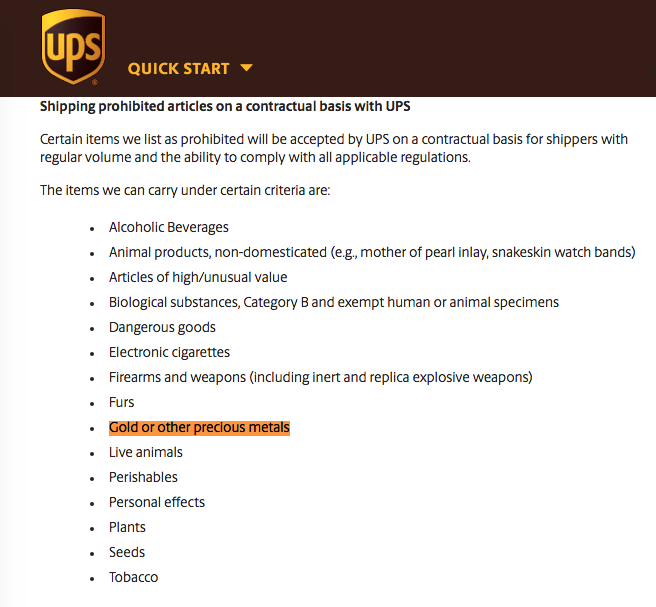 UPS expressly prohibits standard shipments from containing physical precious metal silver bullion products. Come learn the facts and also how you can still ship silver bullion with UPS or other private courier, parcel, and express mail services with SD Bullion. First let us examine UPS silver shipping policy today. If you are looking for fully insured silver bullion shippment options, simply give our bullion team a call ( at 1.800.294.8732 ) to to discuss our current physical silver bullion shipping rates, options, insurance, and procedures. For those selling physical silver bullion lots in large size, we can also possibly provide you with convenient professional silver bullion shipping options as well.